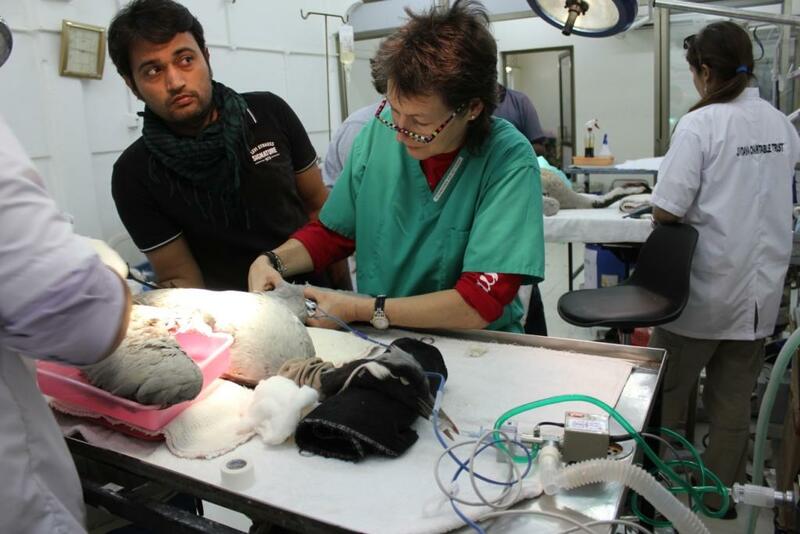 Every year since 2012 WVI has been helping Indian animal welfare charity, the Jivdaya Charitable Trust, to treat thousands of birds injured in this international event, providing practical clinical expertise and training local vets and other volunteers in the process. We are also involved in research to better inform triage procedures and further boost survival rates. What’s the problem with kite flying? Each January, the Indian state of Gujarat celebrates Uttarayan – the end of winter and the coming of spring – with displays of kite flying. The biggest event happens in the city of Ahmadabad. Here thousands take part in the spectacular International Kite-Flying Festival. Among the festivities, there are numerous kite-fighting events, where the objective is to bring down your opponent’s kite. For this, special string which has been coated with ground glass, or lethally tough but thin plastic string, is used. 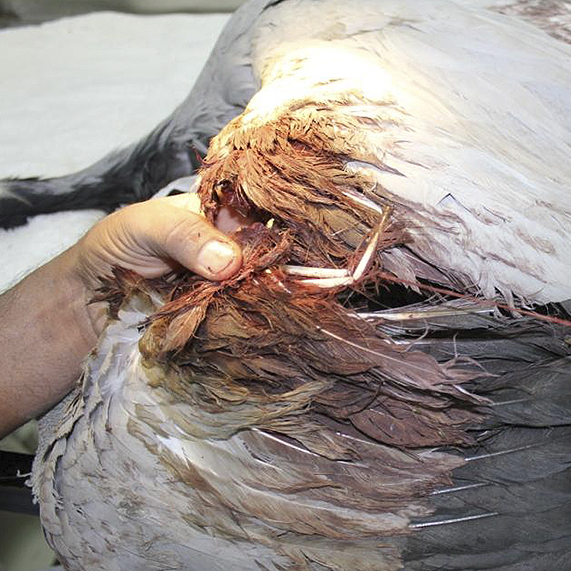 These fighter-kite lines are particularly dangerous for birds, thousands of which are killed or injured each year. Typically, birds flying through fields of kites are cut by the strings, which most often partially sever wings. 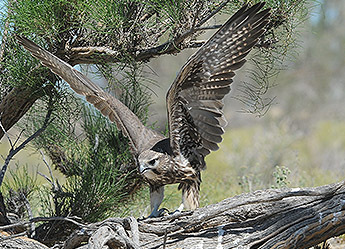 Many die of shock following injury.In addition, all kinds of kites and strings get entangled in trees and other places and cause problems for birds for months afterwards. The legs and wings of birds that roost, nest or simply fly past can become entangled, leaving animals hanging upside down and often facing a slow and miserable death. Which birds are most likely to be affected? Pigeons are the most commonly affected bird (with 1400 casualties in 2013), but owls, waterfowl, and, ironically, kites are also involved. 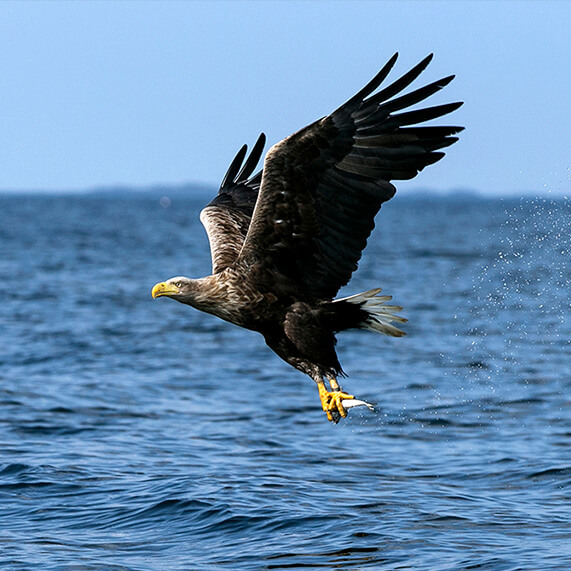 Other birds of prey among the casualties include the Critically Endangered white-backed vulture and the Endangered Egyptian vulture. 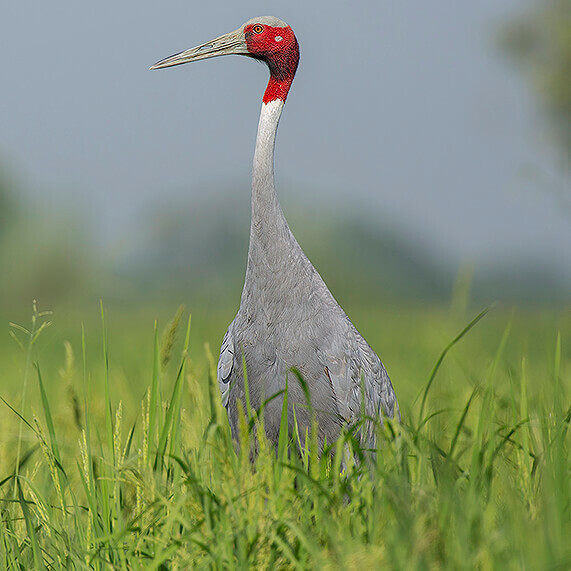 The black kite is one of the most commonly injured, while the Vulnerable sarus crane is also known to be a victim. Typically, around 1000 birds are seen in a week. Some mammals are also usually among the casualties. What is WVI doing to help? Local animal welfare charity, the Jivdaya Charitable Trust, sets up rescue camps around the city and runs a makeshift surgery for injured birds during the festival, but struggles to cope with the high numbers and severity of injuries. Indian vets have little training in avian medicine and none in non-domestic species. This is where WVI has been able to help, providing practical clinical assistance and on-going training of local vets. 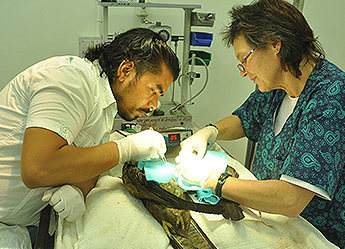 In 2012, WVI first sent out our specialist avian surgeon, Johanna Storm. 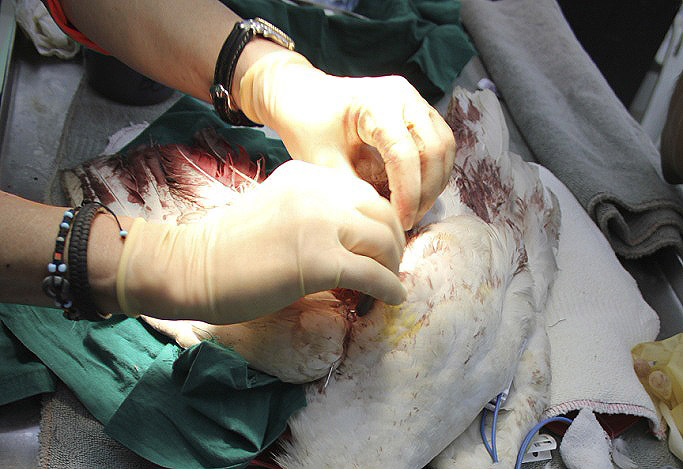 She was struck both by the number of birds requiring treatment and the severity of their injuries. At the same time, she was enormously impressed by the dedication and professionalism of the staff and volunteers of the Jivdaya Charitable Trust. For the next four years, Johanna was able to provide surgical and post-operative expertise, training local vets in the process, with dramatic results. And it’s not just qualified vets who have been able to benefit from her involvement. In 2013, for instance, those who participated included 25 veterinary students, several human doctors and surgeons, and a further 50 non-medical volunteers. 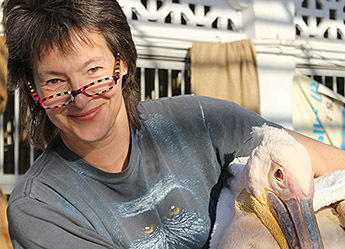 Over the years, Johanna has helped improve protocols and procedures for dealing with the birds, through triage, recovery and rehabilitation. She has advised on rehabilitation facilities, with a particular emphasis on how endangered species are treated, and has been able to transport and demonstrate essential equipment. In 2015, the WVI team grew to include exotic vet nurse, Matt Rendle, and volunteer vet Stefan Harsch. Although Johanna wasn’t able to be there herself for the 2016 clinic, Matt, Stefan and a vet nurse intern, Kelly Deane, rose to the challenge. They were able to report back on considerable improvements in procedures thanks to Johanna’s previous work. In 2017, Stefan was joined by vet nurse Kiane McAbe, and a senior vet nurse from ZLS London Zoo. Kiane carried out research into whether simple blood tests can be used to predict the chances of short-term survival for victims, potentially indicating which require the most intensive care. We expect that the results of this work will be used to help further inform triage from 2018. The temporary clinic is very effectively run by the Jivdaya Charitable Trust. Birds are brought in by the public or by mobile ambulance from the rescue camps around the city. They are checked in and a sock is put over their head to calm them. WVI introduced the giving of subcutaneous fluids at this point as the birds often arrive very dehydrated. Hydration starts the birds on to the road to recovery and enables them to cope with surgery much better. The birds are put in labelled baskets, with their admission notes close by, and await surgery. Following treatment, they are wrapped in towels while recovering from anaesthesia, and then moved into small animal crates or special aviaries to recuperate. The aim is then to release them back into the wild. 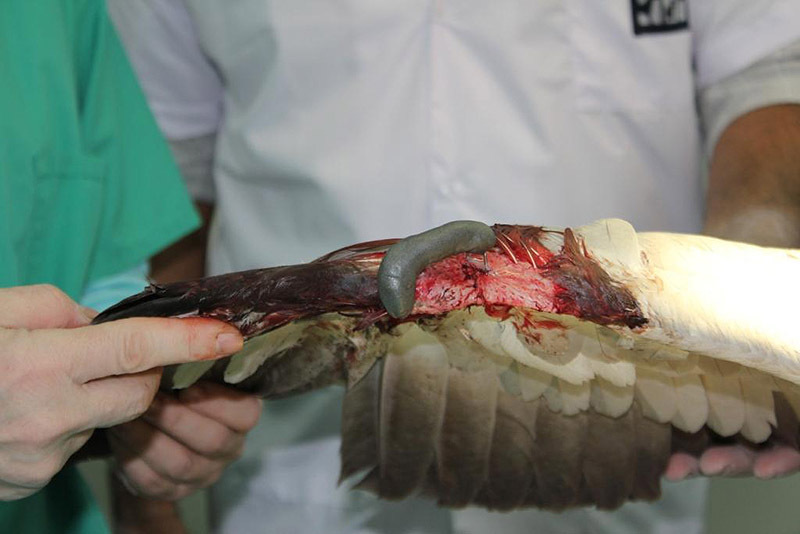 Apart from the need for on-going training in surgical techniques, better understanding of post-operative care and the development of more suitable facilities are essential if the survival rate for birds in the future is to continue to rise. (WVI’s involvement to date has resulted in an increase in the survival rate of non-pigeon species from around 50% to over 90%.) This is particularly critical for birds of prey and the larger waterfowl, like pelicans, which have had successful surgery but need careful rehabilitation if they are to survive back in the wild. And Ahmadabad is just one of many cities across Gujarat to hold such kite-flying festivals. WVI hopes that the help we have been able to give will be shared with those tackling similar problems in the other kite-flying centres of Gujurat. 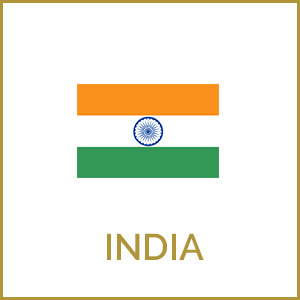 We believe that by providing training and expertise, WVI is helping to fill a gap in avian veterinary expertise that currently exists across the Indian subcontinent. WVI is particularly grateful to the Jean Sainsbury Animal Welfare Fund for awarding us grants in 2013, 2014 and 2015. This project could not have gone ahead without their generous support. 2017 sees the start of WVI’s partnership with Green Balkans Wildlife Rescue Centre in Bulgaria. The aim is to train local vets in the latest avian orthopaedic surgery techniques and post surgical care, in order to improve the success rate for rehabilitation of injured birds back into their former habitat. In addition, research will be carried out into categorising the severity of fractures, with a view to further increasing the survival rates and ultimate fitness levels of the birds. 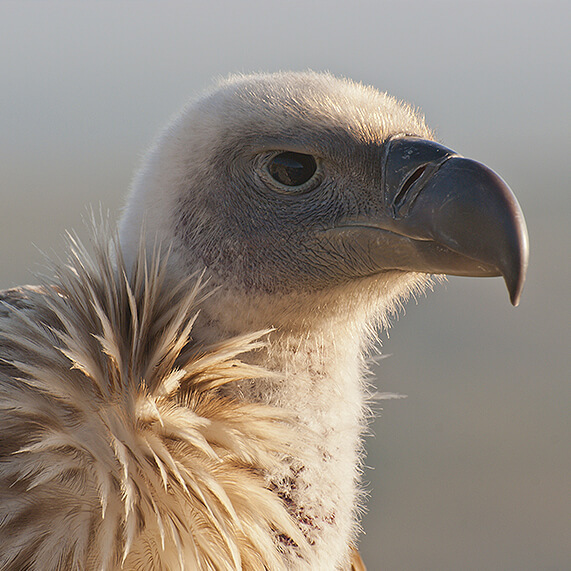 The species which are set to benefit include the Endangered Egyptian vulture, the Endangered saker falcon and the Vulnerable imperial eagle.While WVI provides the veterinary training, the International Centre for Birds of Prey will be running complementary training in husbandry techniques and aviary design. While the training will be primarily for Green Balkans’ vets, local veterinary students will also have the opportunity to participate. In the longer term, we hope there might be the possibility for Bulgarian vets to receive training in the UK. The proportion of birds coming into the centre each year which are then returned to the wild gives an indication of success. 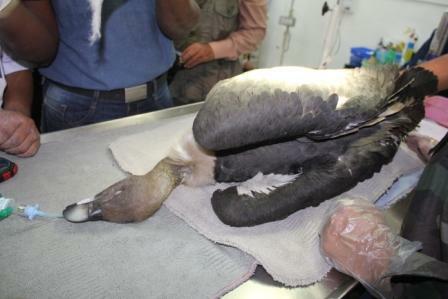 About 1000 rescued birds arrive annually, many of which are suffering from fractures. In 2014, 16% were subsequently released, while in 2015 the figure was 9% and in 2016 it was closer to 14%. These figures are very low but should increase significantly with improved surgical techniques and proper pre- and post-operative care. Those casualties which cannot be successfully returned to the wild will where possible become part of the captive breeding for reintroduction programme, and so will still contribute to wild species recovery. Advising on initial triage and first aid for raptor casualties. Developing relevant Standard Operating Procedures. Providing instruction on fracture management and on post-surgical care. Grading of fractures on a scale of 1-3 depending on severity. This data will then be used to inform 2018 activities. While WVI’s role is primarily a training one, we hope that the project may develop to incorporate some research, and are always ready to help with disease risk assessment should it become necessary. 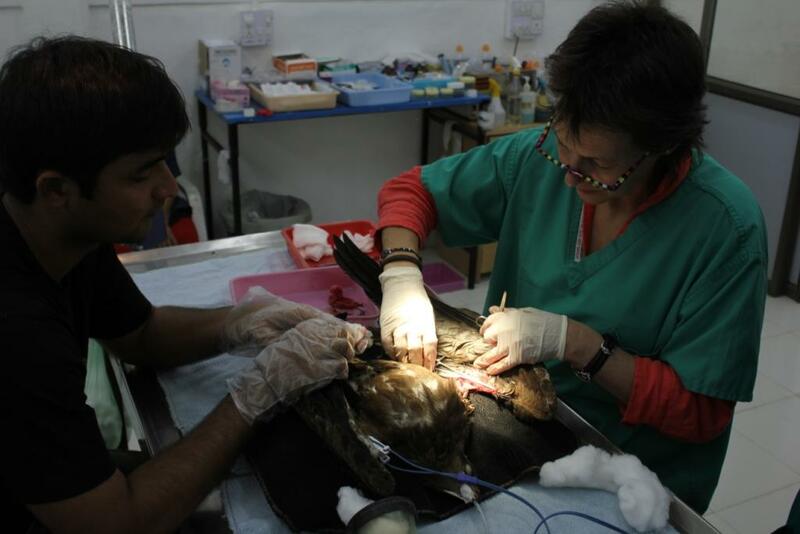 WVI’s work in South Africa is focused on training local vets in advanced avian orthopaedic surgery, and enhancing their ability to provide first aid to birds suffering from poisoning, electrocution or collision. This initially involves specialist avian vet, Dr Neil Forbes, running three training courses for a total of 75 vulture rehabilitates and vets. 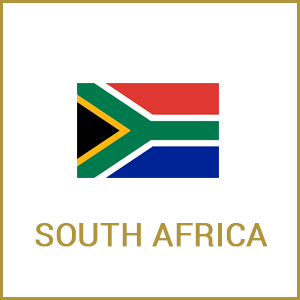 These will take place in Capetown, Durban and Pretoria during 2017. 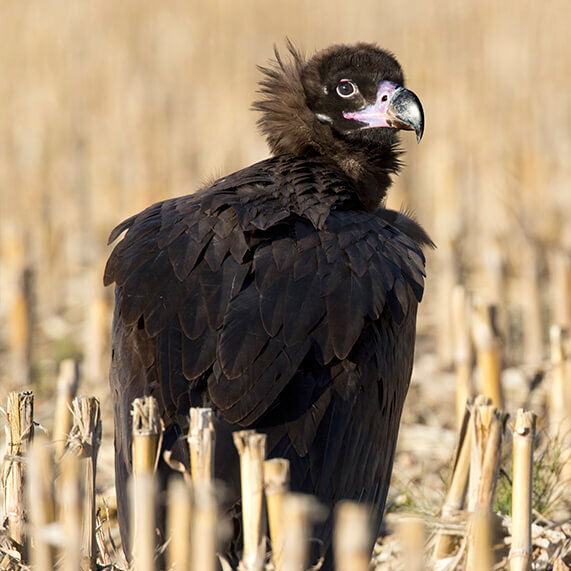 The project benefits all birds of prey, but vultures are a particular focus. It has special significance for the African white backed vulture, the white headed vulture, the hooded vulture and Ruppell’s vulture, which are all Critically Endangered. Other Endangered species which will also benefit include the Cape vulture, the lappet faced vulture and the Egyptian vulture. Birds of prey, and vultures in particular, are under great threat in southern Africa. 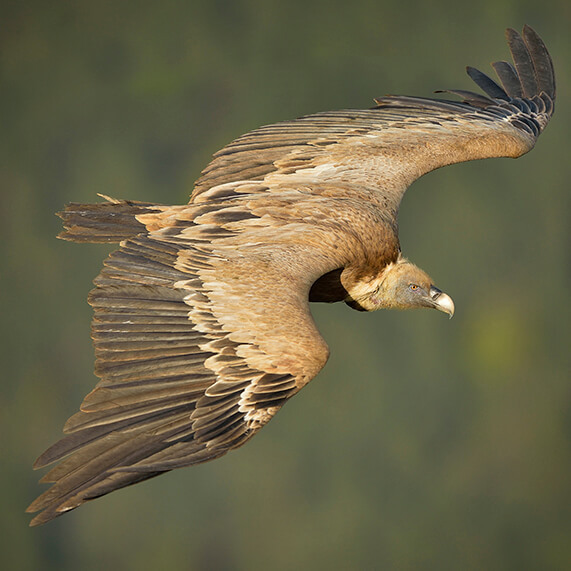 Vulture populations outside officially protected areas have fallen by a dramatic 98% in the last 30 years. 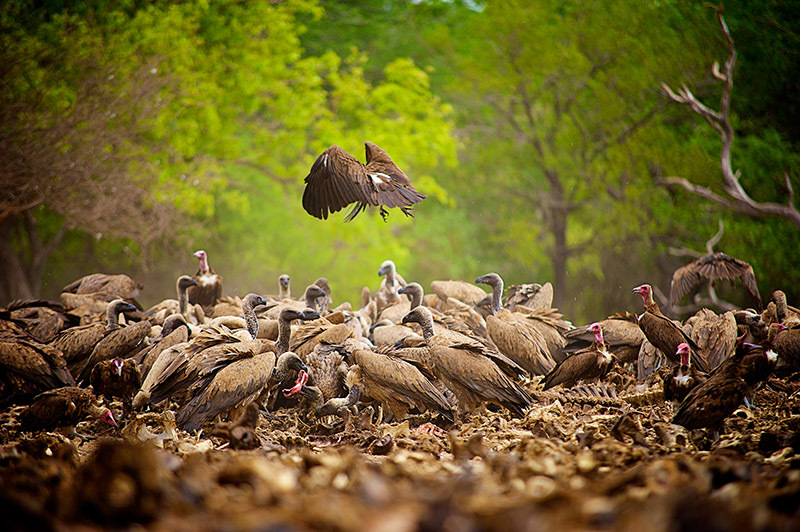 The main threats to the vultures are the demand for their use in ‘black magic’, poisoning and urbanisation. 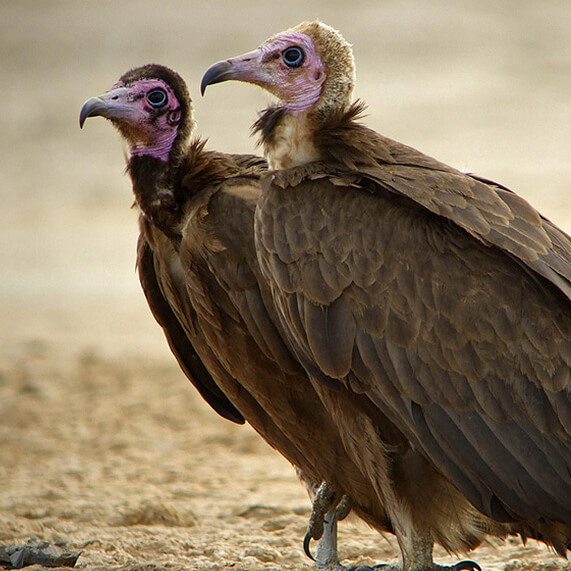 Witch doctors believe that vulture brains have magical powers, and this accounts for 29% of vulture deaths. Meanwhile, increased supply of electricity to local homes has meant a huge expansion in overland electricity cables and the use of wind turbines, which are responsible for multiple injuries. 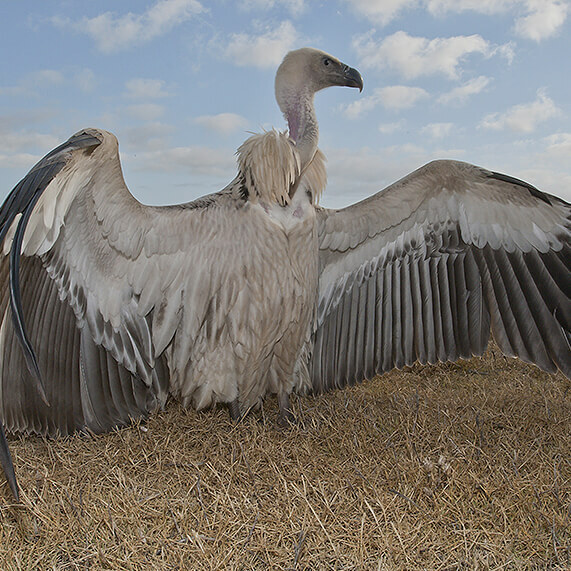 Most significant of all is the increase in both malicious and accidental poisoning in recent decades, with farmers often lacing carcasses with poison to target large predators, but attracting birds in the first instance, as well as poachers poisoning vultures in order to stop their scavenging activity from alerting anti-poaching patrols.Effective treatment and release of affected birds is a vital component in maintaining sustainable wild populations, and needs to happen alongside the creation of ‘vulture restaurants’ which provide a safe food supply, and the proper control of the supply of pesticides. Vultures are an important part of the food chain. When their numbers were devastated by the excessive use of diclofenac in India, the feral dog population expanded to fill the gap and there was an explosion in rabies cases.As part of WVI’s involvement, release, recovery and captive breeding rates will be monitored following the training, and compared with past and future levels. WVI’s Raptor Rehabilitation programme is aimed at making sure the highest possible number of injured and poisoned birds not only survive treatment but can be successfully reintroduced to the wild, in order to stem dramatic drops in population numbers. When species numbers are low, every individual counts. 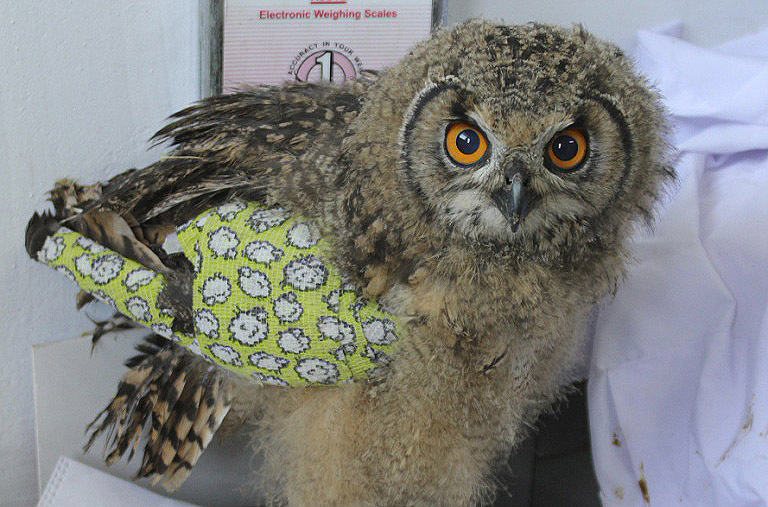 WVI has worked in India for a number of years, training local vets and providing essential first aid for the thousands of raptors injured by kite strings every year during the annual Kite-Flying Festival in the Gujarati city of Ahmadabad. Thanks to the growth in our experience and reputation in this area, we are now expanding our raptor rehabilitation work to help Endangered species in South Africa and Bulgaria. Raptors, or birds of prey, are persecuted throughout the world, both directly (mainly through hunting and poisoning of carcasses) and indirectly (through contact with kite strings, wind turbines, power cables and the drug diclofenac). Please donate to help us train local vets and ensure that injured birds have a real chance of survival. 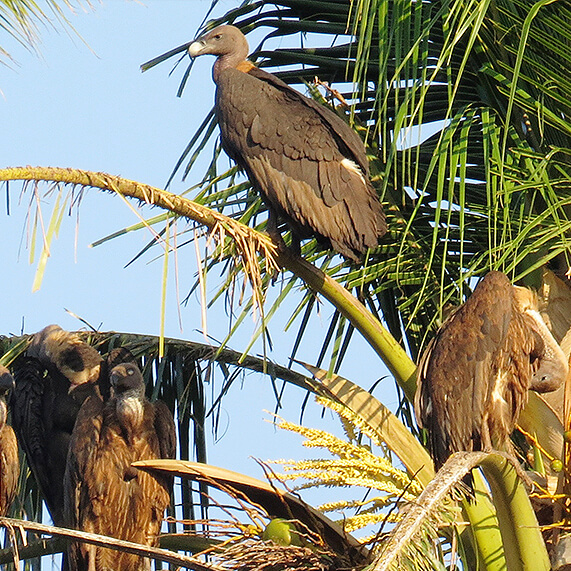 For some species of vulture, numbers are so low that every individual counts. That means it’s vital to make every effort to save injured birds. WVI believes that effective training of local staff and volunteers on the ground is essential in order to increase the survival rate of injured or poisoned birds of prey, and to ensure that they are sufficiently fit when they are released back into the wild. We provide training in pre- and post-surgical treatment of birds, as well as in the surgical techniques themselves. This means, for example, helping develop appropriate Standard Operating Procedures which ensure that sub-cutaneous fluids are given when the (often severely dehydrated) birds, are first handled, or that birds are correctly tube fed following surgery. When WVI vets are on the ground they are always ready to use their practical expertise to operate on and treat current casualties, demonstrating techniques to local professionals in the process. With raptors, this frequently means demonstrating the advanced treatment of fractures of both wings and limbs. Although our raptor rehabilitation work is currently focused on first aid for trauma victims and appropriate clinical intervention, WVI considers disease investigation vital to increasing understanding of how population numbers can be recovered and safeguarded. Our vets are always on the look out for any signs of disease and ready to implement surveillance should it become necessary. Our veterinary specialists are always on hand to answer questions and provide information on an on-going basis to the projects with which they are involved, usually by remote electronic means once they have left the field. 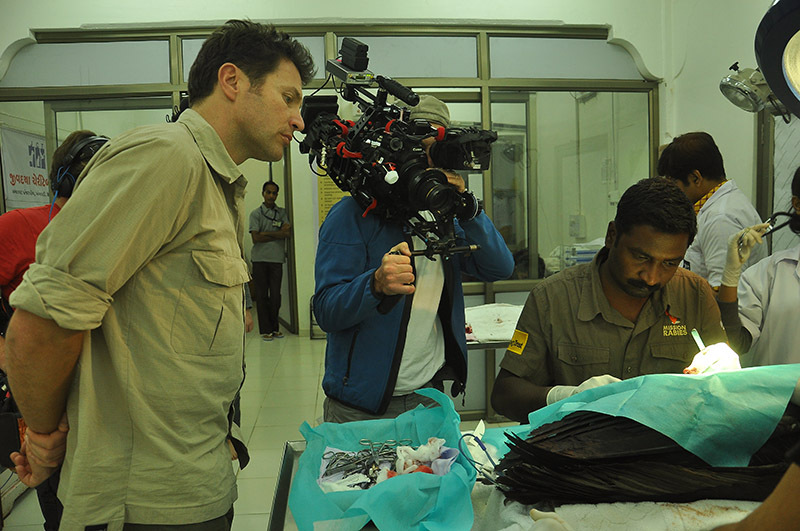 WVI believes on-going research is essential in order to further increase survival rates. 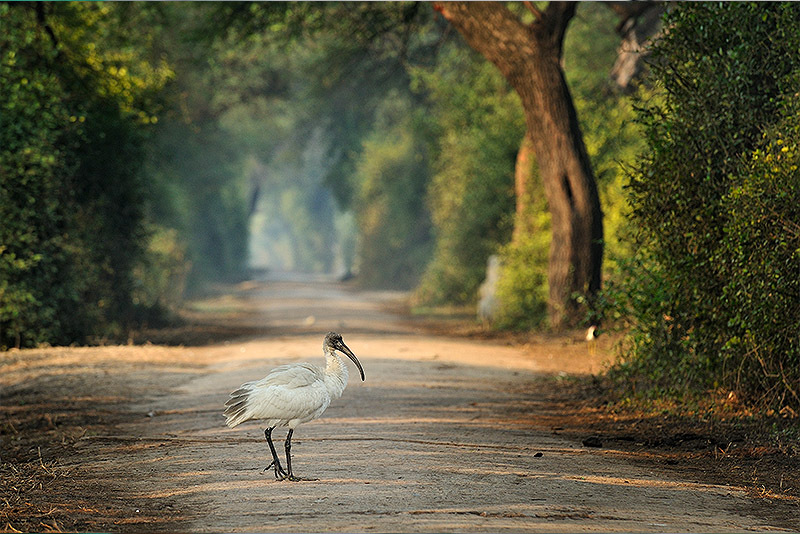 In India, for example, vet nurse intern, Kiana McAbe, has been carrying out research into whether a simple initial blood test can be used to indicate a bird’s chances of survival in the short term. These results have the potential to determine which birds should receive the most intensive care in order to have the best chance of recovery and are expected to inform ongoing training of local staff in 2018.